Home Donald Trump Kimberly Foster politics Stacey Abrams Despite Trump's efforts, Stacey Abrams' credentials cannot be denied. Despite Trump's efforts, Stacey Abrams' credentials cannot be denied. After 2016, I thought I was done with politics. But in these two years, we’ve seen so much policy that harms marginalized people being pushed and passed across the country, that I realized sitting out of this system is not an option. The people who hold the most power are only going to make things worse. And once I got educated on the work that Republicans have been doing to keep voters of color, young people and poor people from the polls, I got even more fired up. Now, I’m all in. I think November 6 is going to be a good day for Democrats across the country, and I will be heartbroken if my favorites lose. Stacey Abrams is one of the people I’m really pulling for. Though I have to admit that I wasn’t immediately on the Abrams train because I didn’t think she had a chance. I was wrong. And as I’ve learned more about her, the work she’s done to expand the electorate in Georgia, and her political skills, I've gotten more invested. At this point, her race is a statistical tie. She will win if she can overcome Brian Kemp’s attempts to steal votes. But there’s no guarantee she’ll be able to do that. Systemic voter disenfranchisement is out of her hands, and that’s what’s most frightening. I’ll shed a tear if the outcome isn’t the one I’d prefer on Tuesday. Abrams victory in the primary could not happen if she weren’t an exceptionally talented woman. Her being tied with a Republican in what used to be the heart of the Confederacy is the product of Herculean effort. I am as amazed by her abilities as I am disgusted by the attempts to minimize her. I know it doesn’t make sense to keep riled up by Trump’s bigotry, but I can't help it. This week he said to the press, "I like Oprah, but the woman that she's supporting is not qualified to be the governor of Georgia by any stretch of the imagination." He is, of course, talking about Abrams. Unbelievable is the only word that comes to mind. I believe in the importance of credentials and experience. I thought other people did too, but that man is in the White House. Those of us who believe in competent people running government have been consistently horrified by the people Donald Trump surrounds himself with. If you’re going to come into the highest office in the land knowing absolutely nothing, at least build a team of smart, knowledgeable people. Trump hasn't done that. This is the least educated cabinet in 26 years. For the past two years, we’ve been inundated with stories about the disturbingly high levels of incompetence in every department. Was Ben Carson qualified to run HUD? Was Rex Tillerson qualified to be Secretary of State? Was Rick Perry qualified to lead the Department of Energy? What are Jared Kushner’s credentials to be making Middle East policy? There's a report out saying Trump offered the job of UN Ambassador to a woman whose previous occupation was Fox News host. I could go on. Why is it that the only time he's talking about credentials and qualifications is when he's talking about people of color? Curio couldn’t be a competent judge because he’s Mexican, and Trump has a history of calling Black people stupid. It never sticks, but it’s downright laughable when aimed at the woman poised to claim the governorship in a state once thought to be solidly red. Doesn’t Donald Trump love Ivy League schools? After all, he did send this tweet to discredit Andrew Gillum, another Black person on the verge of a historic win. A Yale education is a boon for DeSantis, the man racists think is racist. But you know who else went to Yale? Stacey Abrams. She graduated from the same law school as Brett Kavanaugh. Her opponent has no terminal degree. And Abrams does have experience navigating Georgia politics. She was minority leader of the Georgia state legislature from 2011 to 2017. While there, she stopped the largest tax increase in Georgia state history by discovering a math error. I thought Republicans hated taxes? 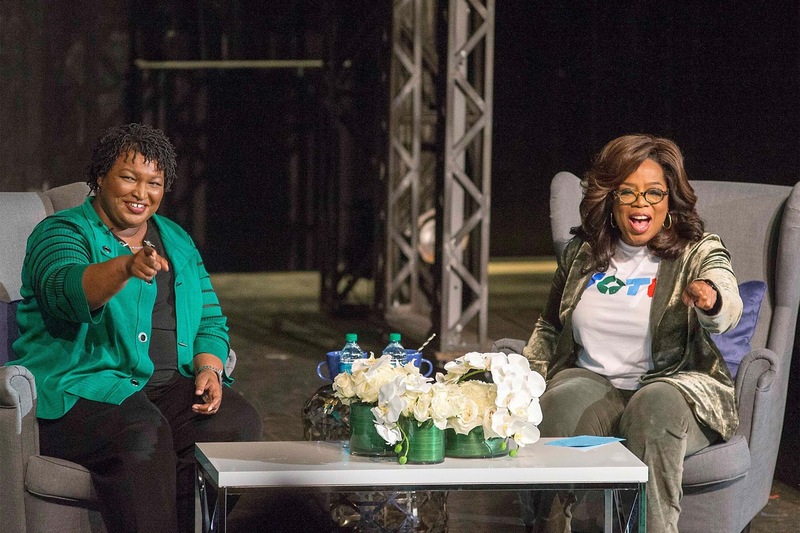 Stacey Abrams is a politician so skilled Oprah fly into Georgia to stump for her. The Queen of media knocked on suburban Atlanta doors and shared the stage for public events. Mike Pence, obviously threatened by the flood of attention that comes with an endorsement from one of the most famous women in the world responded at a Kemp rally. The Republican Party forfeited it’s right to claim they’re above entertainment when they elected a reality tv star who stays on the road to meet his fans. But we only need to go back a couple weeks ago to see the glaring hypocrisy. 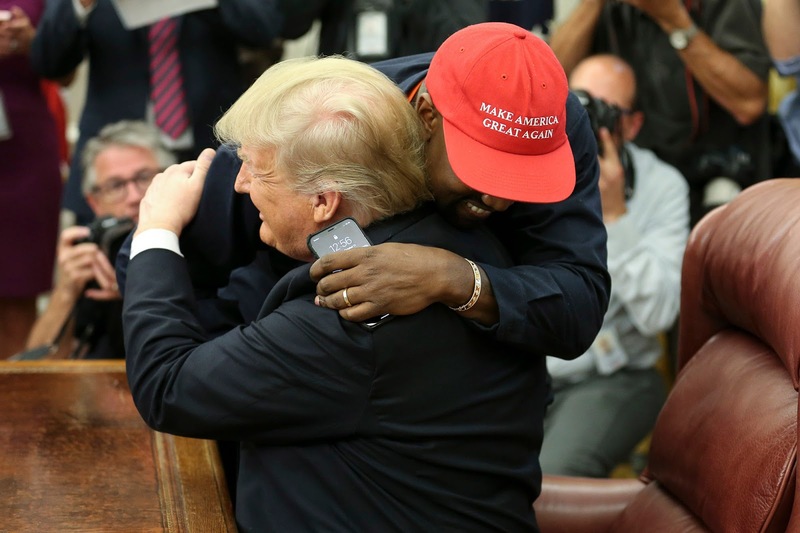 Donald Trump could not have been happier to praise a MAGA-hatted Kanye West and welcome him into the White House. The Trump who spent 30 years getting as close to famous people we like as possible wishes he was one of them. Celebrity is frivolous to these people now because celebrities can’t stand them. I know why her resume doesn’t matter. Black people in the United States have long known that there is no credential that will sway a racist committed to believing you inferior. But I think I point out the lies racists tell about merit because they use them to gaslight the rest of us. When we see the goalposts moving, they call us the paranoid race-baiters. Abram is a brilliant woman and sterling candidate, and no one can take that from her. Kimberly Foster is the founder and editor-in-chief of For Harriet.